The Green Bay Packers got back into the win column for the first time in 27 days with a much-needed victory over the Miami Dolphins on Sunday. The offense finally learned that a heavy dose of Aaron Jones is a recipe for success, while the defense kept Miami out of the end zone all afternoon. While the win undoubtedly felt good after back-to-back disheartening losses, the Packers have little time to enjoy themselves. Green Bay now must prepare for a trip to Seattle, the host of some less-than-ideal moments in recent Packers’ history. The Seahawks and Packers have played worse than they envisioned in 2018, and both are clinging to their postseason hopes in a crowded NFC playoff race. A win would give Green Bay a major leg up on a fellow wild card contender, and is crucial for their division hopes in a week in which the Bears and Vikings play each other. But for the Packers to keep pace with Minnesota and Chicago, they’ll have to find a way to end a few dubious streaks that have proved troublesome for Green Bay. 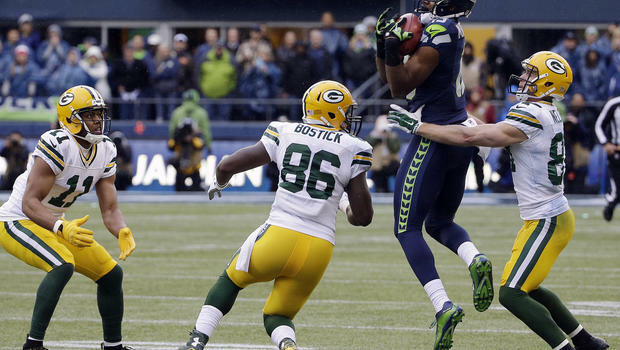 For starters, the Packers have had some unpleasant memories in recent trips to Seattle. Green Bay has not beaten the Seahawks on the road since 2008, when Aaron Rodgers guided the Packers to a 27-17 win in his first season as the starter. They’ve lost three times since then: on the infamous Fail Mary in 2012, in blowout fashion to open the 2014 season, and to dash the team’s Super Bowl hopes in the heartbreaking 2014 NFC Championship game. Green Bay has beaten the Seahawks in three straight games, but all of those took place at Lambeau. So the Packers will look to end their woes at CenturyLink Field. In 2018, the Packers’ struggles have extended more generally to anywhere that isn’t Lambeau Field. While the Packers are 4-0-1 at home, they have yet to win a game on the road. In fact, Green Bay hasn’t won a road game since narrowly edging Cleveland in Week 14 of last season. That’s a string of six straight losses as the away team. The struggles have come all over the field when the Packers have been on the road. Rodgers has lower marks in completion percentage, yards per attempt, overall rating, and even yards per rush on the road. Green Bay as a team averages nearly 20 yards less per game on the ground in their four away games. On defense, the Packers have been unable to generate as much pressure or force as many turnovers. They have just 10 sacks in four road games, compared to 21 in five home games. And despite recording 10 takeaways at home, they’ve had just one so far on the road. For Green Bay to end their recent road woes, they’ll have to be significantly better on both sides of the ball. It’s also been a while since the Packers have managed to even win back to back contests. It’s been 13 games since Green Bay won two in a row, and Week 11 marks the latest an Aaron Rodgers-led team has ever gone without posting consecutive wins. There’s a lot on the line as Seattle and Green Bay open up Week 11. The Packers still have divisional aspirations, while the Seahawks could already be eliminated from NFC West contention with a loss and a Rams win. Both teams figure to play a role in the NFC Wild Card race, but it’s not overstating things to say that the Packers’ postseason hopes will take a major hit if they can’t find a way to gut out a win and put an end to the streaks that have haunted them recently. This entry was posted in Packers 2018-2019 Season, Sean Blashe and tagged Aaron Jones, Aaron Rodgers, Green Bay Packers, NFC North, nfc playoffs, seattle seahawks. Bookmark the permalink.